Hous of Markets is a “Marketplace For Everything” and is the latest avenue to sell products, services, memberships or subscriptions and is packed with premium services risk free. Manager Mint Media was founded by Shane Wieters in August of 2015 and has become a fast-growing media company that creates and syndicates a variety of content on over 40 top business, investing and entrepreneurial categories and specializes in helping businesses achieve Massive, Authoritative, and Effective Business Exposure through Advertising, PR, Marketing, and SEO. Manager Mint Media draws in thousands of viewers every day from over 136 countries around the world and is home to a vast global business directory housing over 126,000 business listings worldwide. 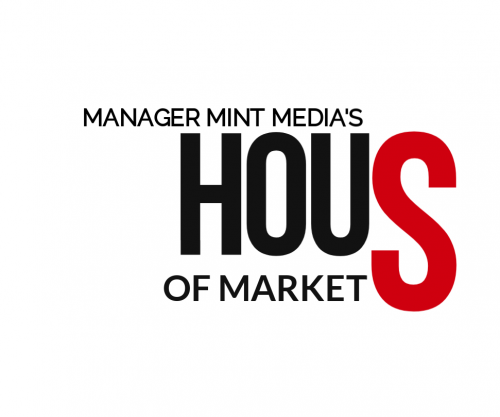 Their latest addition of Hous of Markets continues to follow their mantra of helping businesses achieve Massive, Authoritative, and Effective Business Exposure. Traffic driven directly from Manager Mint Media help their existing viewership gain instant access to vendors listed on Hous of Markets. Hous of Markets offers amazing capabilities for their Vendors, allowing them to customize their store front, upload and create a broad spectrum of products types including subscription based or membership based ones from the very beginning. No waiting for shop or product approvals to start creating products and selling. Many potential business owners get wary of what goes into starting an online business or attempting to build websites or open shops on other online marketplaces simple from the cost of doing so. Risking Capital when no sales have been generated or a brand is just getting started can be a risk. Manager Mint Media understands this problem and have provided a solution in Hous of Markets. Major Features such as Live Chat allow Vendors to communicate directly with customers when they are on the vendors specific page or products and order and inventory management system comes standard along with all the reporting necessary to view sales and inventory levels. Perks such as order tracking, PDF Invoicing, Surveys for customers, Reviews for Discounts, and much more also come preloaded in vendor shops. Registration is simple and new Vendors gain instant access to their own account. Once logged in, Vendors can start to set up shop right away through their frontend manager. It should be noted that the platform pays the vendor on dollar one and takes a small fee for the sale. This allows vendors to set up their shop without having to pay a subscription, membership or listing fees where Hous of Markets collects a small fee only when an item is sold from a vendors shop. The competition, however, is a different story and can vary from charging variable monthly fees, having high payout thresholds or charge a listing fee allowing them to collect every time a vendor lists an item. As a small bonus, instructional “how to” videos have been included to help new vendors learn how to take advantage of the full functionality of their new shop. Of course once a new shop is up and running, vendors are encourage to share their shop and products as well as run ads on social sites to help drive traffic to their store. To learn more about or to register for Hous of Markets, viewers are encouraged to visit the site here. To learn more about Manager Mint Media, viewers are encouraged to visit their site here.